Salento in a room, that's how Il Salento in Una Stanza translates to English. It's a name that aptly describes the restaurant at Via Mantova, near Piazza Fiume in Rome. It's a small restaurant that can accommodate about 20, with tables against both walls. Compact places have the tendency to radiate a warm ambience and the restaurant easily takes that out for the friendly service given by its proprietor, Corrado Amato, the touch of bright colors on the table setting and the food, the protagonists that lift the spirit when they arrive on the table. Salento is located in the lower part of Puglia, an Italian region in the southern part the country with the Ionian Sea to its west and the the Adriatic Sea to its east. It covers the provinces of Lecce, Brindisi and part of Taranto. To best locate it, look at the boot-shaped map of Italy, and point at the "heel" of the boot. That's Salento. 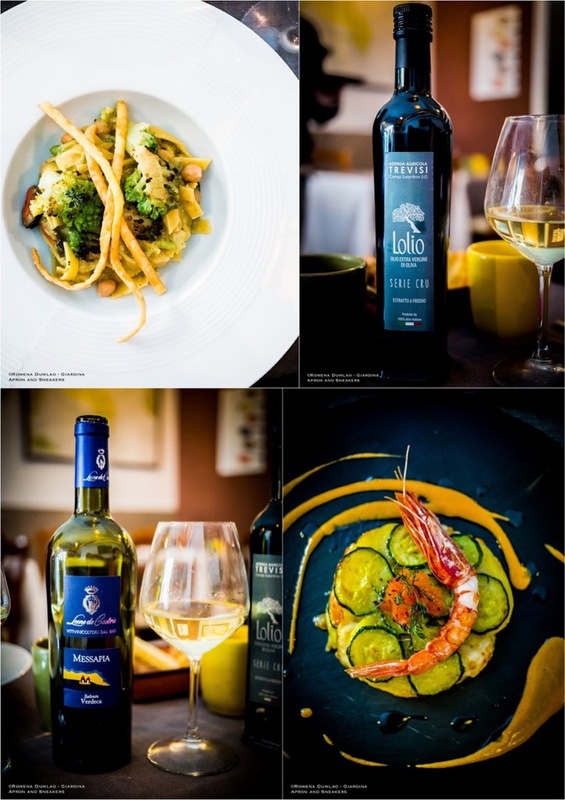 The cuisine in the area is dominantly Mediterranean with an abundance of seasonal fruits and vegetables, cereals, legumes, seafood, some meat and cheese. 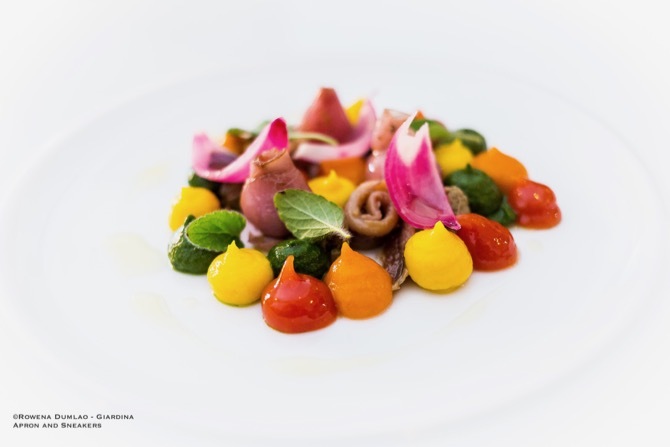 Salento is represented quite well in the kitchen of Chef Roberto Cazzato, a Puglian like Corrado. 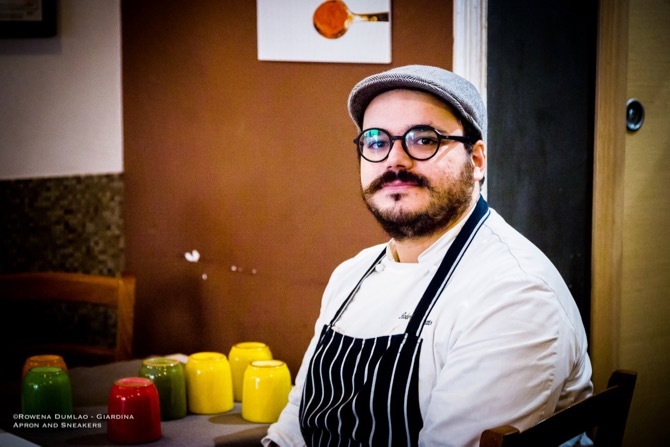 After graduating from a hotelier school in Salento, he took his stage at Hilton Metropole Hotel in London before he started working at Il Salento in Una Stanza. With the full reign of the kitchen, he flourished in depicting his territory, a place from where he sprung from, a place he knows by heart, the smells and flavors of which inspire him. 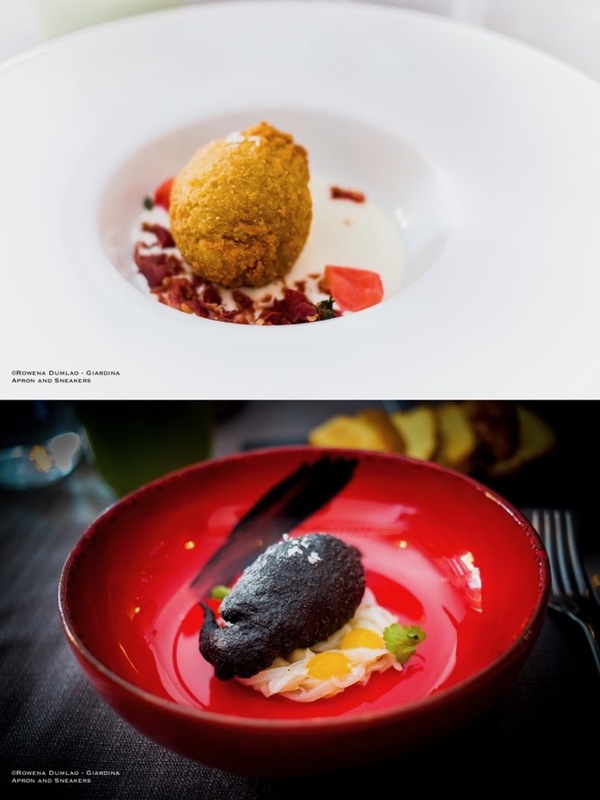 His dishes have the foundation of the traditional cuisine which he deconstructs and recreates into more inspiring dishes. 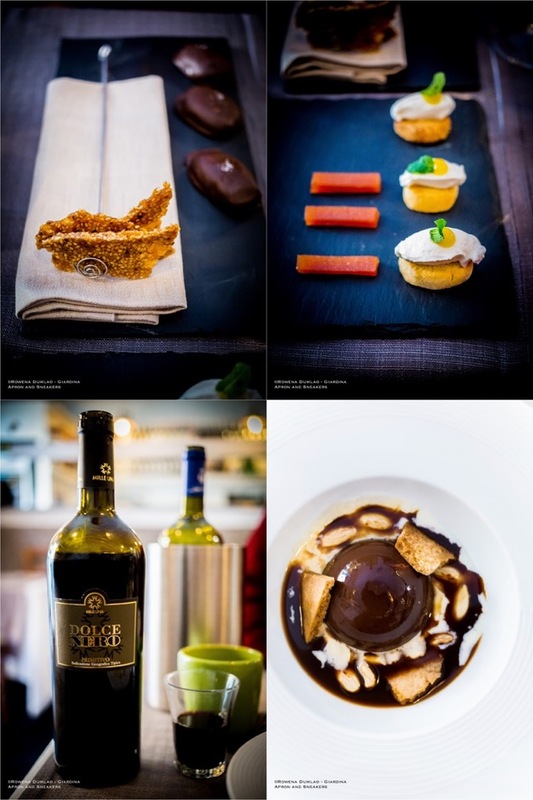 The menu is seasonal and there are different options of tasting menus to choose from as well as singular entries. 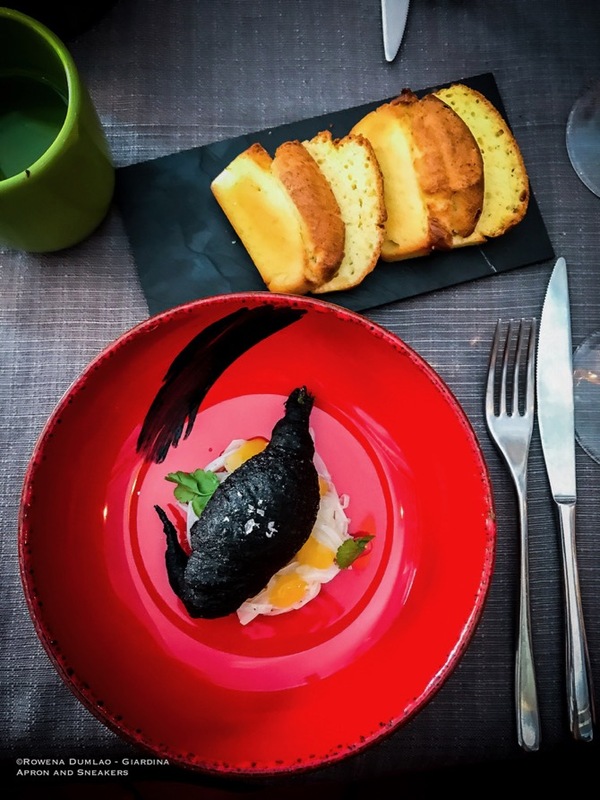 I chose the 6-course tasting menu at €37. There are tasting menus with lesser number of courses too. 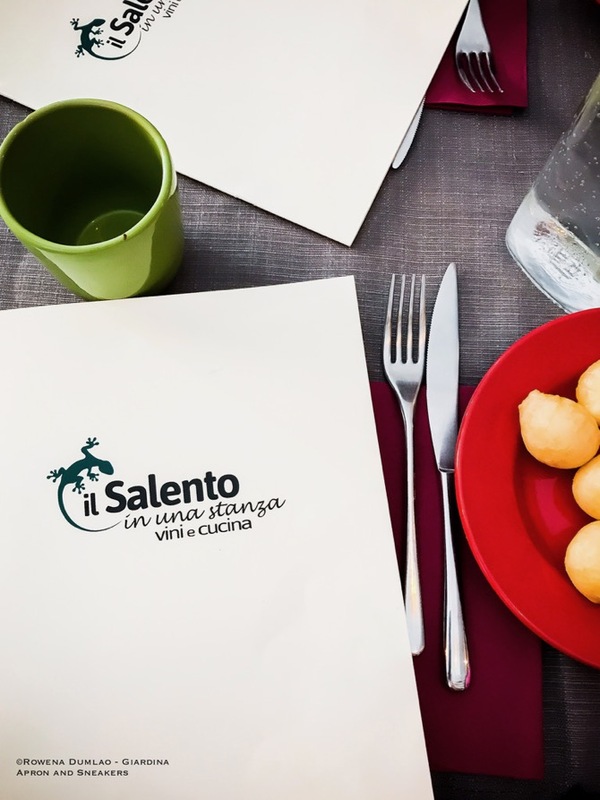 Il Salento in Una Stanza is a kind of restaurant where it's so easy to think of returning to again and again. The first time I walked in, the mood is warm as instigated by Corrado who was serving all the tables. On a weekday lunch, the place was packed but the service was fast and precise. 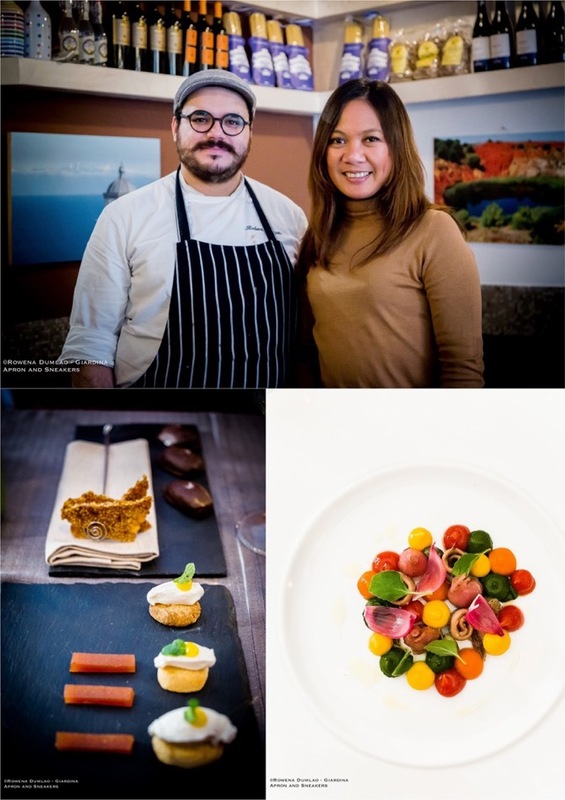 Puglia is a region where the people are known for their hospitable nature and with both Puglians in the dining area and in the kitchen, those notable characteristics are replicated inside Il Salento di Una Stanza.